Pav bhaji is the quite essential street food in Mumbai city. Nowadays it's common everywhere ,even i found this in my hometown. It's such a filling dish. 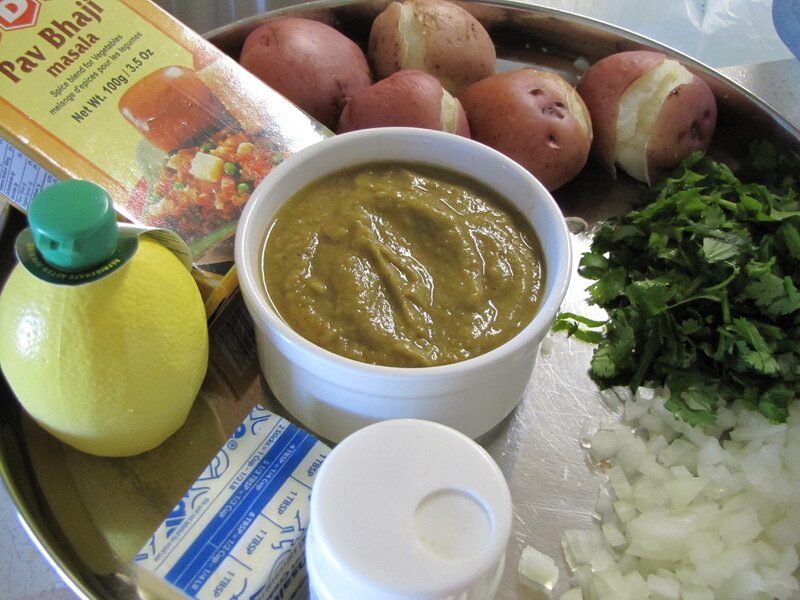 Someone said Pav bhaji means bread and vegetables...Yep,it's true. This dish demands butter for sure. Perhaps it can be substituted like half the butter and half oil.. Here goes the recipe. Pav bahji masala -- 2tsp+ 1 tsp for pav.. I boiled the peas,capsicum,toamtoes in the microwave for 4 minutes and grind it to a paste(also reduces cooking time). 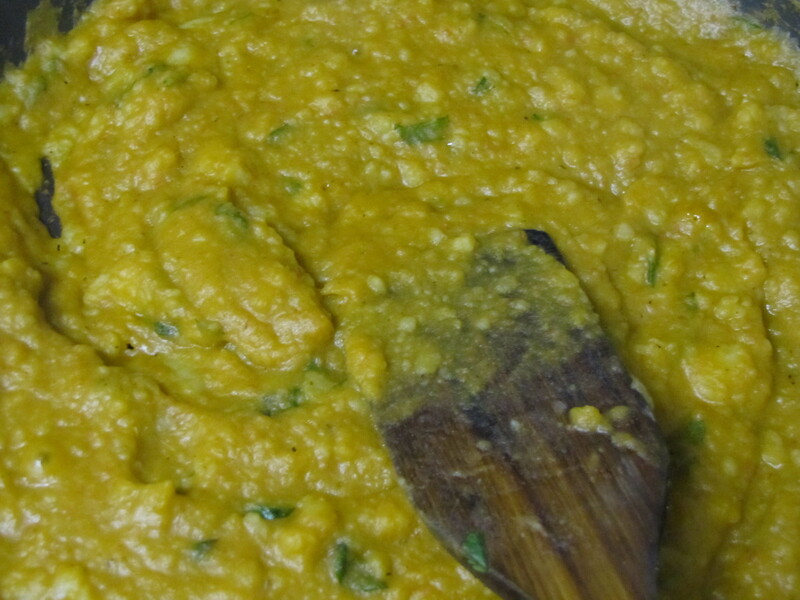 That way i cud feed my family some veggie.. :) .Next, take a wide pan and hop in the boiled potatoes , ground paste,red chilli powder(1/2 tsp),turmeric powder,gg paste(1 spoon),butter(2 tbsp) ,little water and give it a boil. 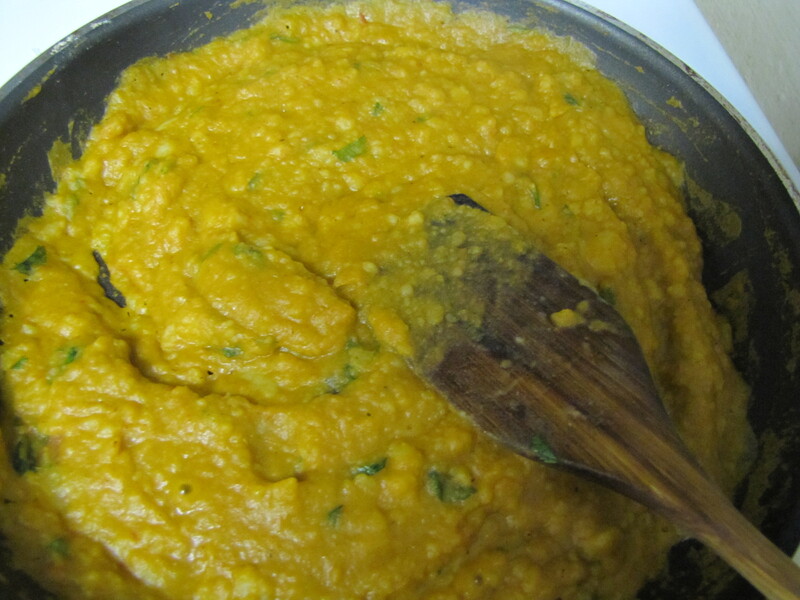 Now add half the pav bhaji masala, salt,hing,coriander leaves and give it a stir. Meanwhile, take a dosa pan add the remaining butter,pavbhaji masala,red chilli powder,onion ,gg paste,hing and fry till the raw smell goes. 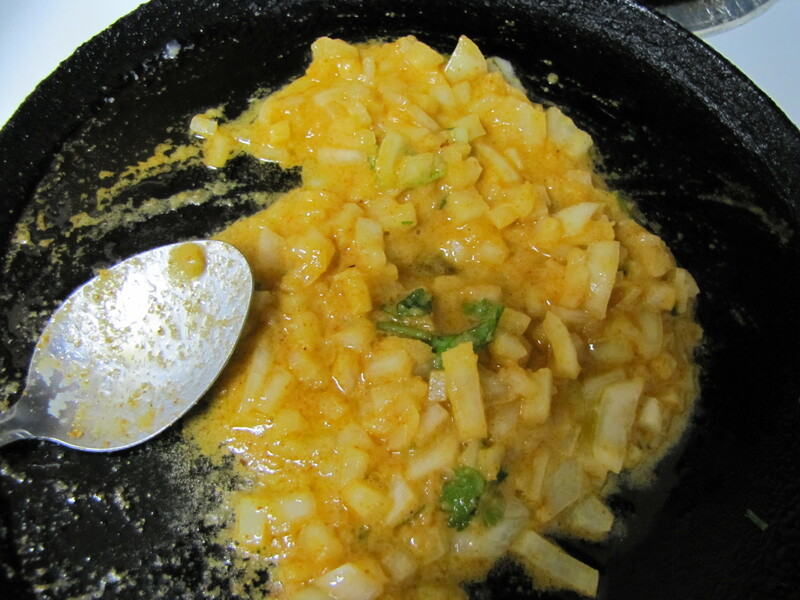 Drop in this mixture into the main dish. (this is similar to thadka). cover the pan and cook till the oil oozes on the sides. Atlast add d color powder and the limejuice and give it a stir( i din't add color powder much). serve it witha piece of butter . In the same hot dosa pan add the butter, pav bhaji masala, a pinch of redchilli powder and fry in med low flame till the raw smell goes. Place the bread on this mixture and coat on both sides. Do the same for the remaining pav. 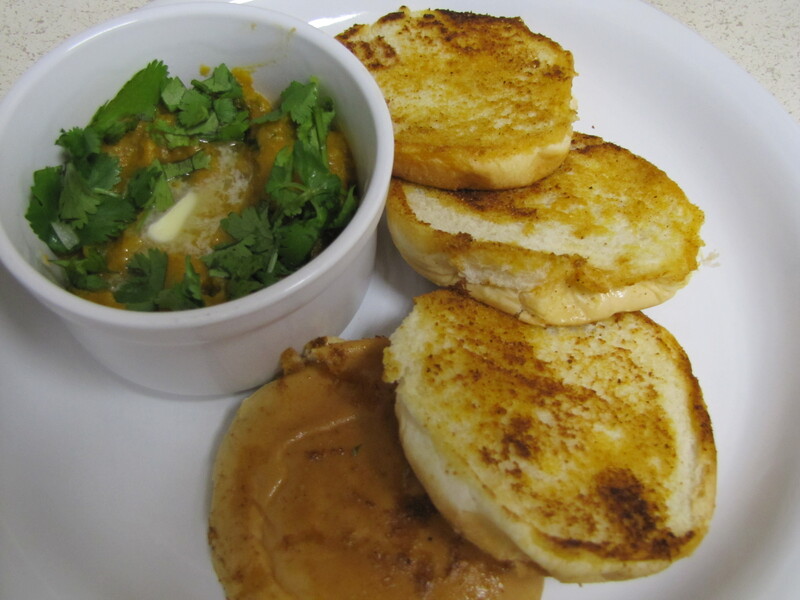 Place the pav along with bhaji and serve..